Portland, Oregon. I am totally in favor of recycling and reducing our carbon footprints. At the Portland Farmers Market, I was trying very hard not to be an “eco terrorist,” but in the end, I couldn’t figure out where to put a toothpick (from the food samples). Is it compostable? Is it recyclable? Is it rubbish? I could not find “toothpick” listed anywhere. After five minutes reviewing this sign, I basically, just put the source of confusion into my pocket. 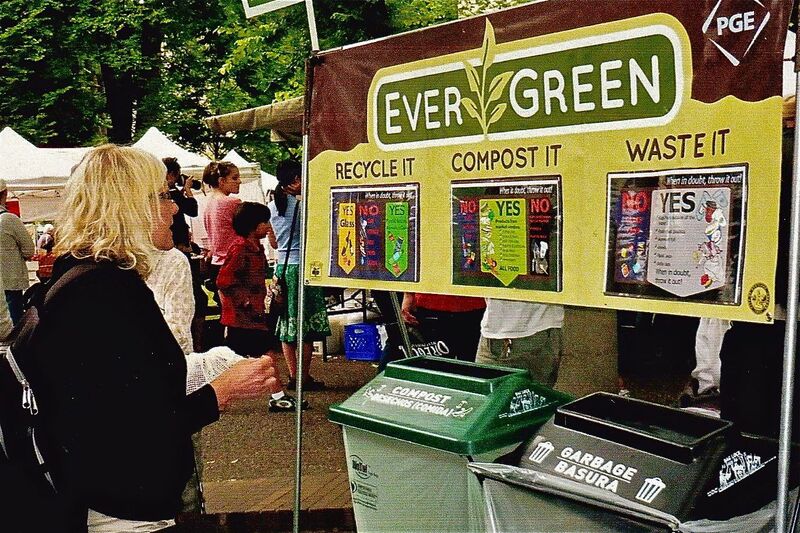 This entry was posted in Funny signs, Humor, North America, Travel, Uncategorized, United States of America and tagged being environmentally correct, Portland Farmers Market, recycling, toothpicks by stephglaser. Bookmark the permalink. “eco terrorist” – that made me laugh!